Your mission, should you choose to accept it, is to have a fun weekend with your spouse while the kids are with their grandparents, discover new places to eat, and enjoy a movie. Last week, Jerry and I celebrated our 8th wedding anniversary. It was on a Tuesday night and thanks to Jerry’s sister we had a delicious night on the town. And while that was a wonderful night, we wanted to spend the weekend celebrating and initially planned to take a little getaway or find a hotel somewhere fun. In the end, we decided to stay home while the boys went to spend quality time with their cousins, aunt and grandparents. The key was to make sure we didn’t get sucked into home projects, so we tried to stay out of the house as much as possible. We don’t get out and explore our beautiful city of Raleigh, NC very often so we packed the weekend full of eating and fun. 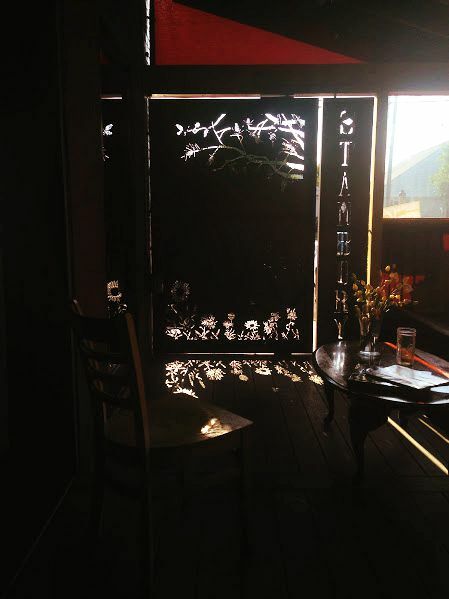 Our first stop was Stanbury, a farm-to-table restaurant that sources food locally. We had a fantastic time and they even brought us an anniversary champagne toast on the house! It’s a casual place with a fancy vibe. We had to ask our waitress to define a few words on the menu for us, but it was a great adventure. We chose two types of local cheese as an appetizer and decided to share the Salt & Pepper Shrimp small plate as well as the ribeye. 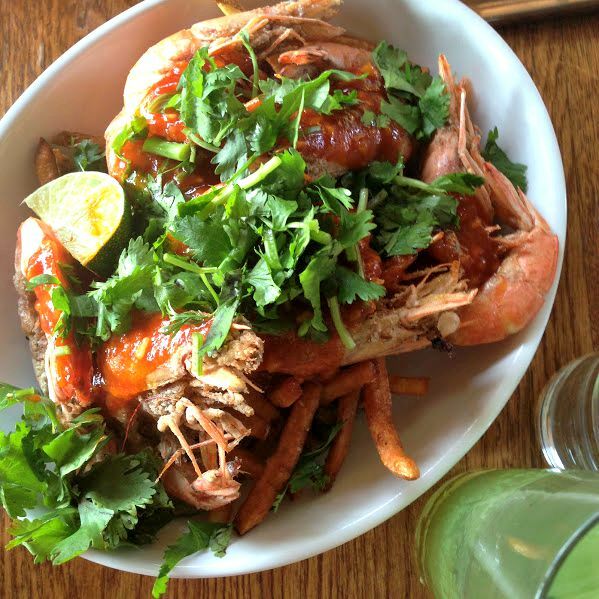 I’m just going to say this, those shrimp had heads. And legs. Our server assured us that we could just pop them in our mouths and enjoy, but I don’t think we are quite evolved enough for that yet. The dish was beautiful, but we’d skip it next time and just split the ribeye which was enormous and didn’t photograph well because it was soaked in heaven. 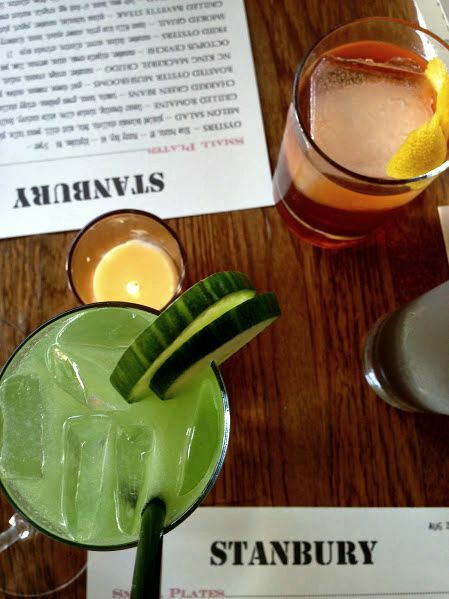 The drinks were outstanding. I had a cucumber gin & tonic and Jerry went with the Old Fashioned. Very tasty! 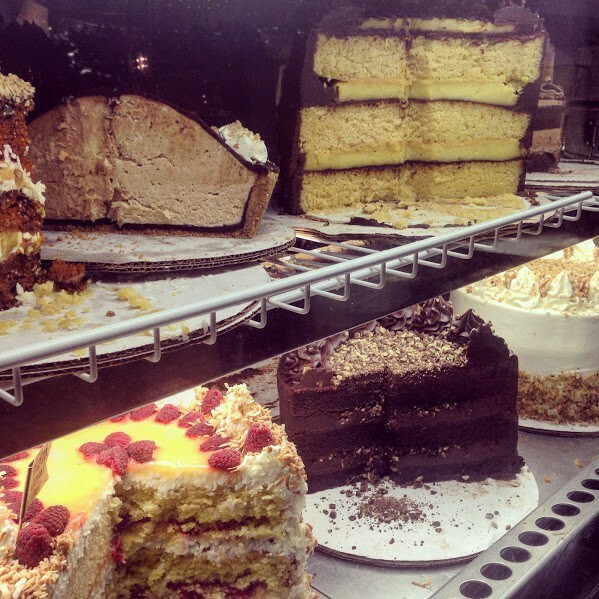 We also enjoyed one of our favorite dessert joints with the best cake around. 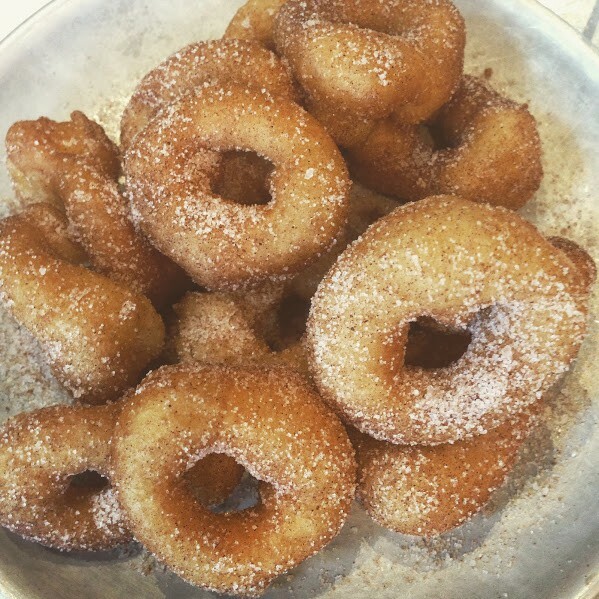 Hayes Barton Cafe is located in Raleigh’s Five Points area and worth the drive from wherever you are. It was hard to choose! Our wedding cake was lemon flavored with raspberry filling, buttercream frosting, and white chocolate shavings. 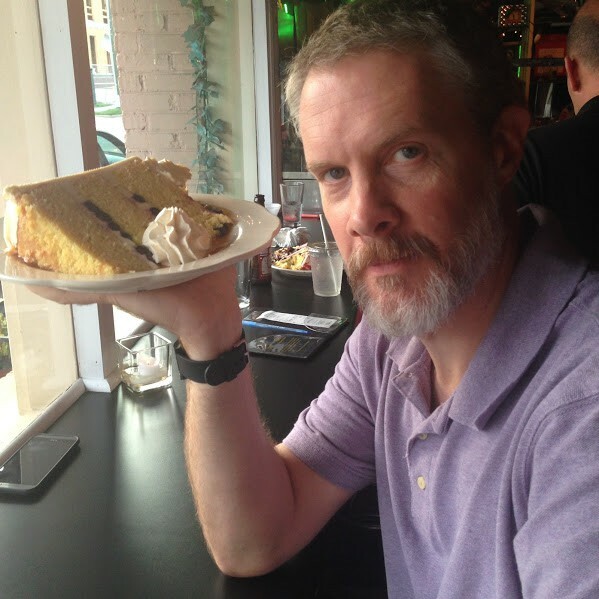 We found a close replica with their lemon blueberry cake with caramel drizzle. It was amazing! And giant-sized. 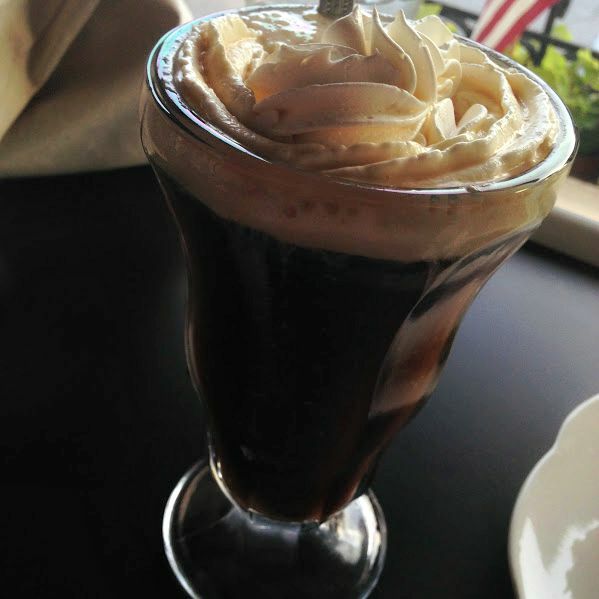 We also learned that Irish Coffee is made with whiskey, not Baileys as we had assumed. Whoopsies! 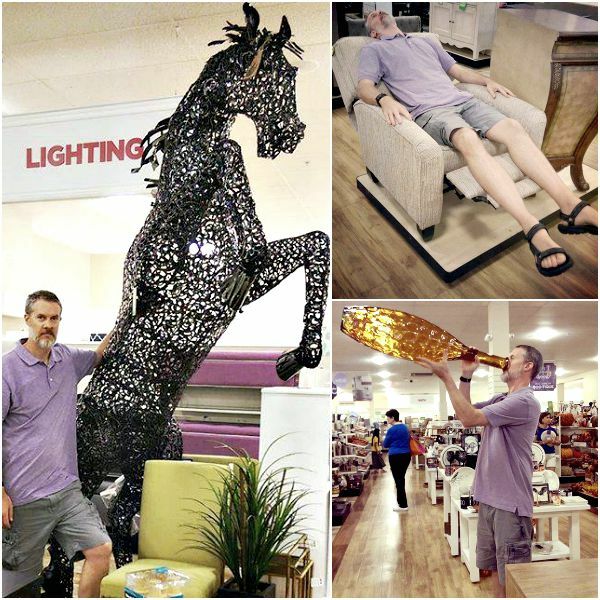 Saturday, our adventures took us on an impromptu trip to Home Goods, which as I am sure you can imagine was very productive. Let’s just say we walked out with foam alphabet letters for the kids and a sink caddy. Thankfully, we were fueled by hot minis from one of my favorite coffee shops, Sola Coffee. I have to say the biggest surprise of the weekend was the delightful meal we had right in our own neighborhood. We love our house, but it isn’t in what would be considered a destination part of Raleigh. Off of one of the largest and most congested roads in the city, I tend to think of our part of Raleigh as a “just passing through” type of place. So when we discovered a great Peruvian restaurant and a locally owned ice cream shop right next door to each other, we were thrilled! 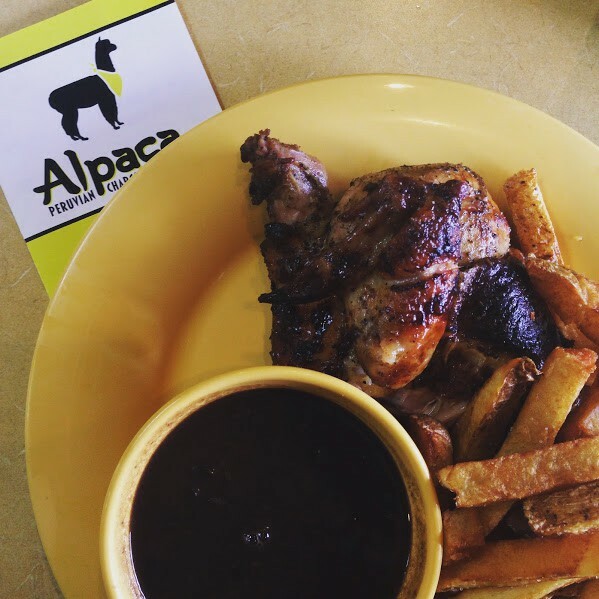 Alpaca Chicken (formerly Mami Noras) has the best chicken I’ve had in a restaurant in a long time. There were a variety of sides and authentic desserts as well. We will be back! 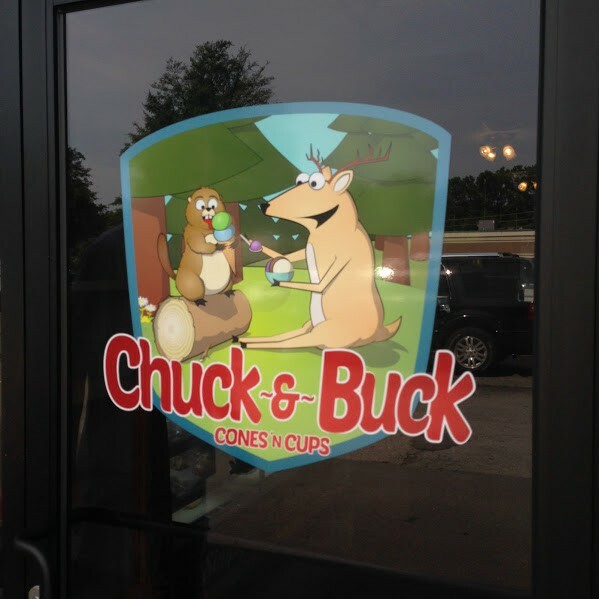 We stumbled on Chuck & Buck on our way out of dinner at Alpaca so we decided to check it out too. Why not?! Another locally owned shop that’s been open for about a year and we had no idea. The homemade ice cream was delicious and the employees were so friendly we wanted to stay. I can’t wait to take the boys! 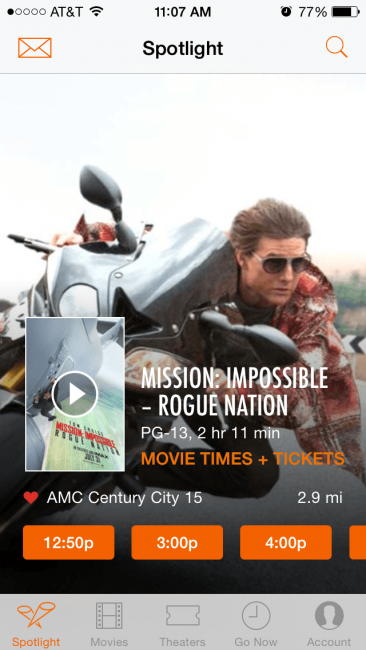 When our mission took us to the movies, we pulled up the Fandango app to decide what to watch. I have to say, the choices right now are all a little bit dark for me. I don’t mind some action, but when I see words like “extreme”, and “bloody”, and “violence”, they don’t really scream “date-night” to me. I didn’t even realize there was another Mission Impossible movie out so after reading the synopsis, we decided to give it a go. I purchased our tickets right in the app and we were on our way. I am so glad we did! Mission Impossible: Rogue Nation was enjoyable from start to finish. It had plenty of suspenseful moments, a surprising amount of humor, and just enough action to keep the plot going without being graphic. This movie is my kind of Hollywood. It’s not going to make you think too hard or mess with your emotions. It’s just a fun, fast and enjoyable film. Jeremy Renner and Alec Baldwin were really fun to watch and I enjoyed the unrealistically impossible feats the team was able to accomplish. It really was the perfect movie for date night! Our mission had almost come to an end. By Sunday, we were sleepy and slow and after our morning coffee, spent the rest of the day tackling projects around the house after all. What can I say? We’re only human. When was the last time you had a kid-free weekend? *** This post is sponsored by Fandango. All opinions are my own. Sounds like a fun weekend!! I saw your Instagram picture of the Peruvian restaurant and it sounds amazing! !